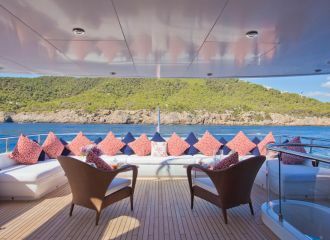 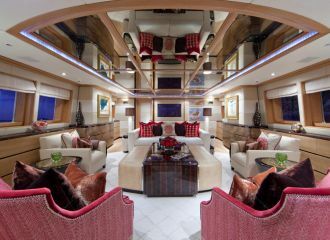 This Custom 38m motor yacht offers the perfect balance between expansive outdoor guest areas and a colourful well-thought interior. 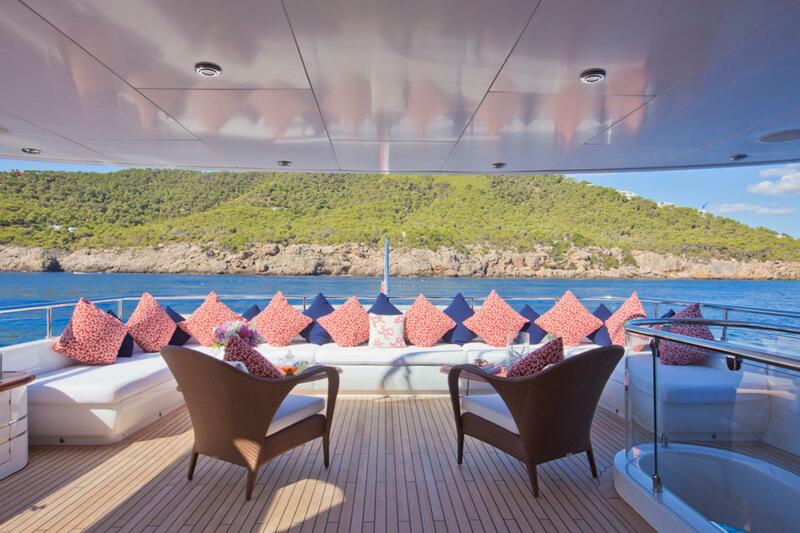 The aft deck is the perfect spot for dining and lounging while guests can choose from different sunbathing areas to relax and enjoy the sun of the French Riviera. 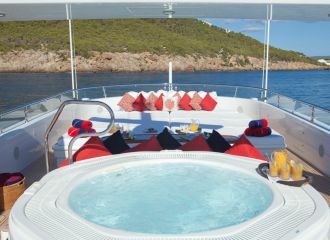 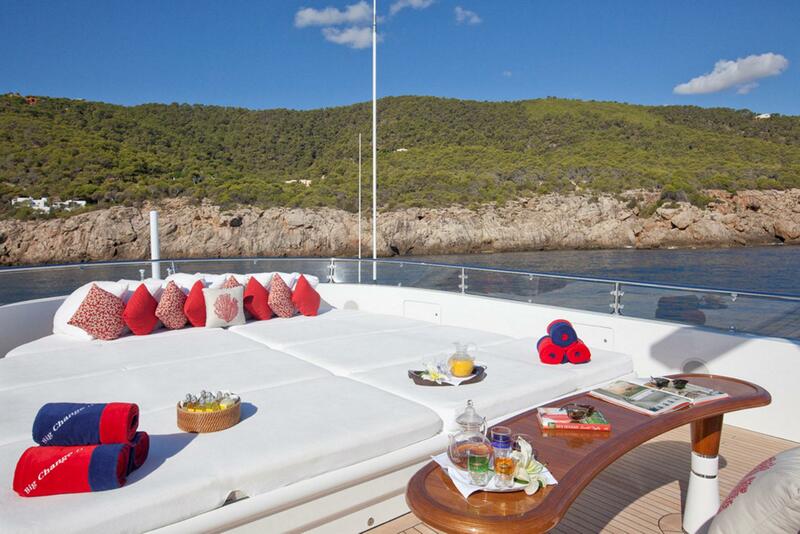 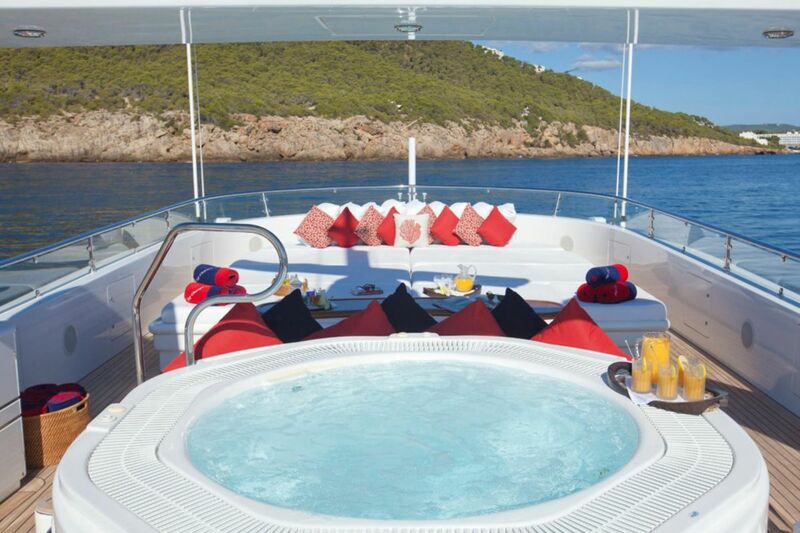 The stylish sundeck is a favourite amongst charterers. 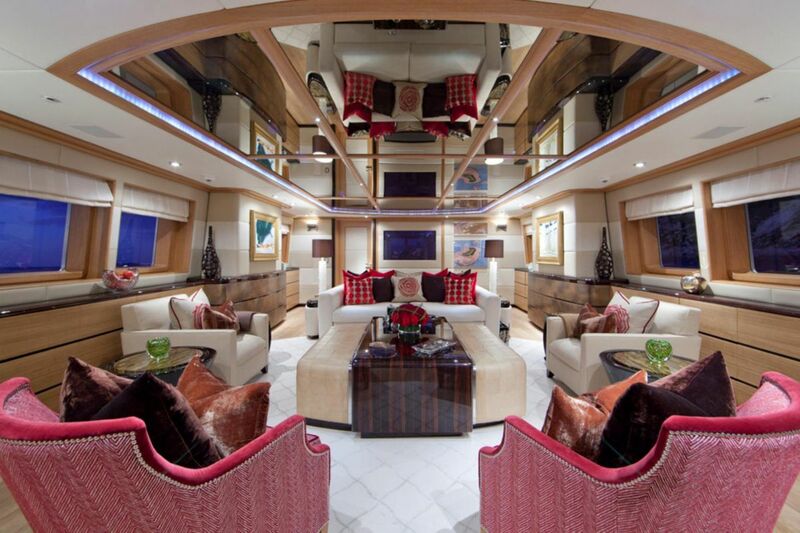 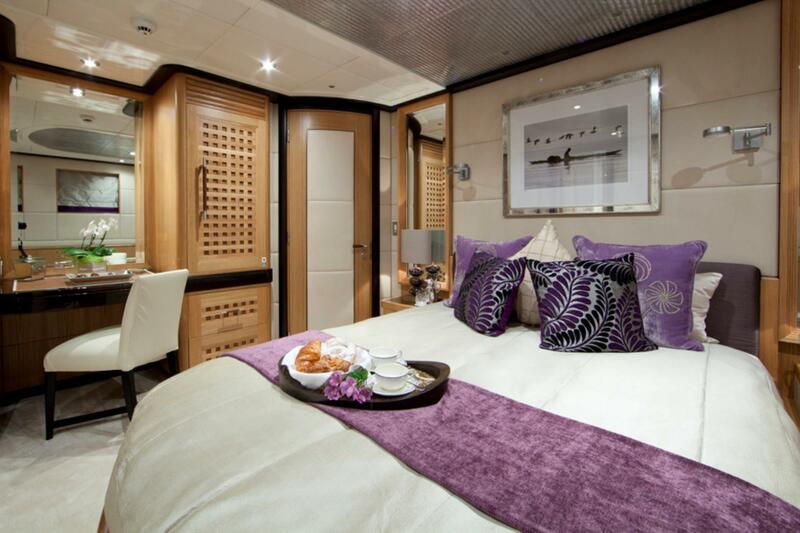 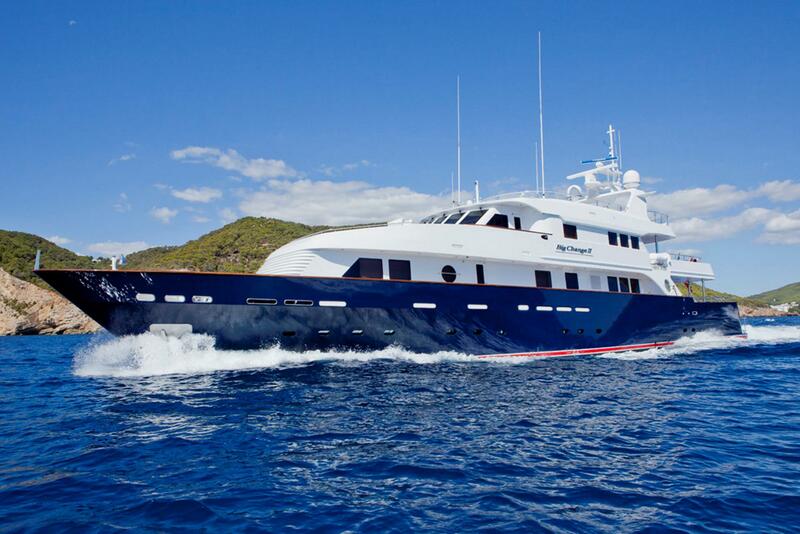 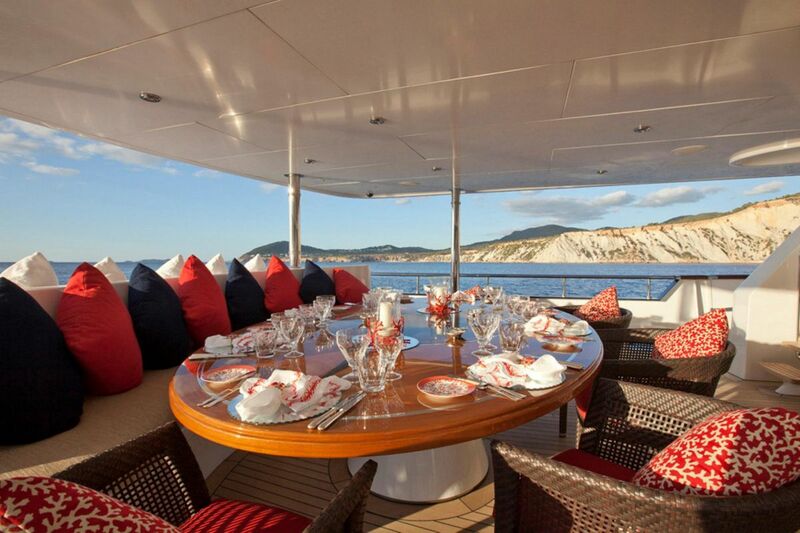 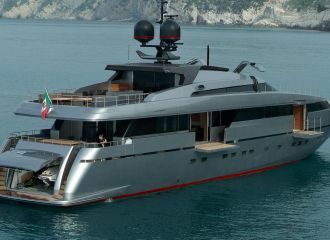 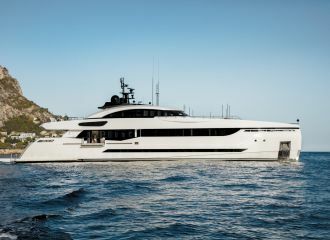 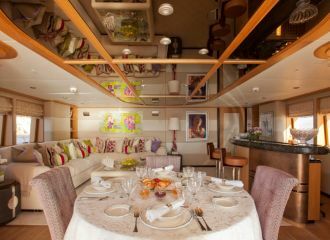 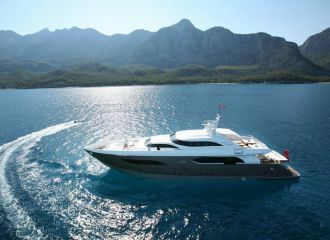 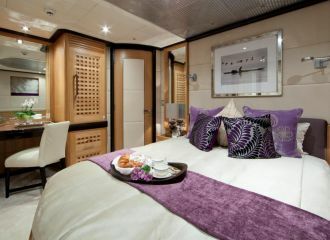 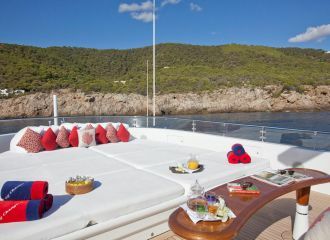 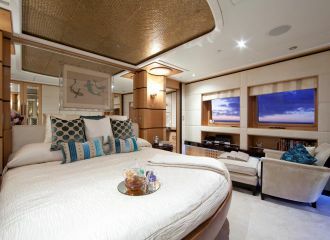 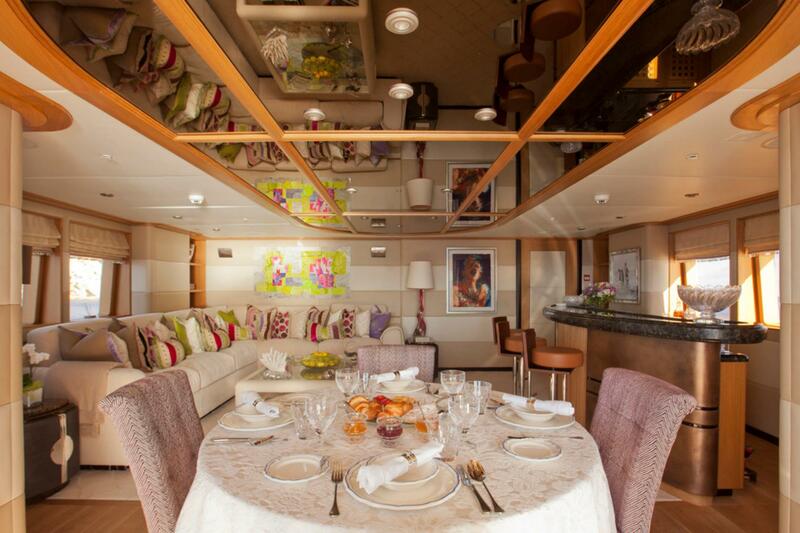 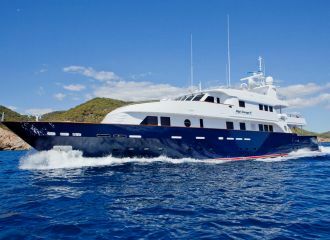 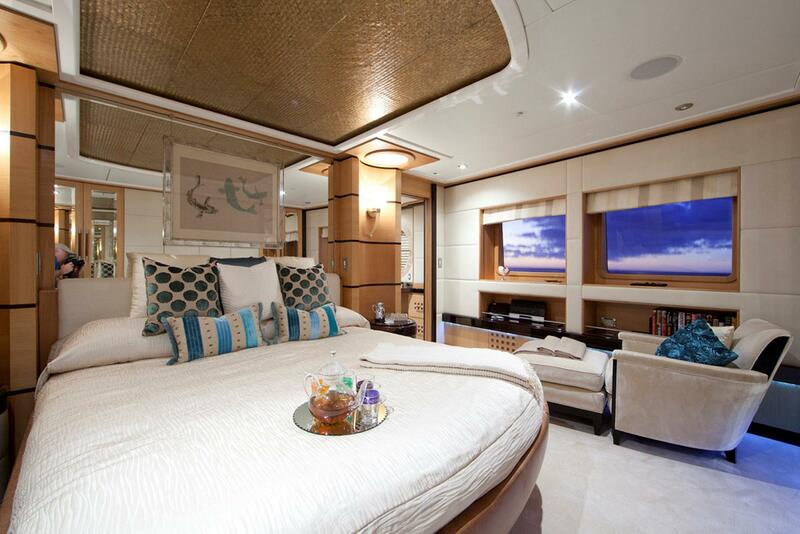 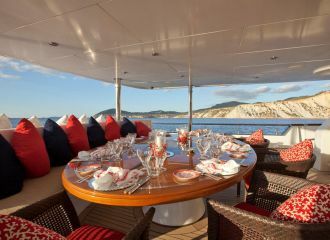 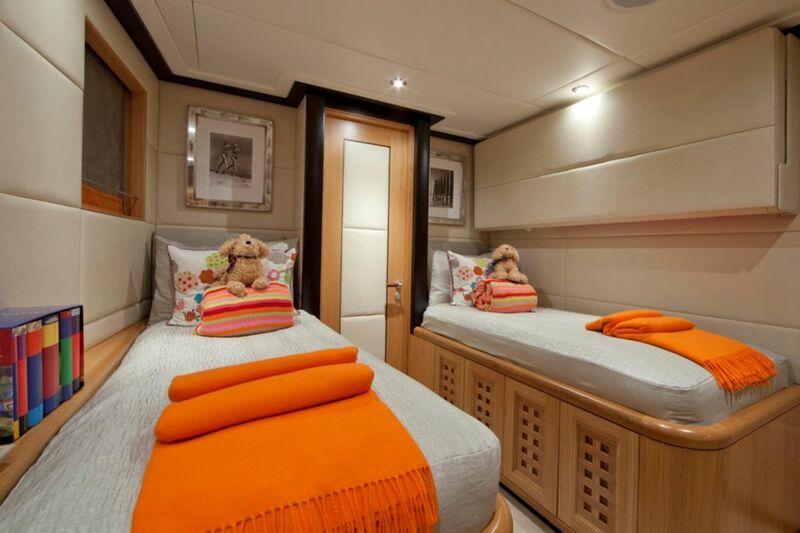 This Custom 38m yacht can accommodate up to 10 guests in 5 cabins: 4 double and 1 twin. 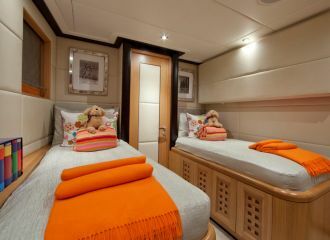 There is an additional Pullman berth in the twin cabin for an extra guest.